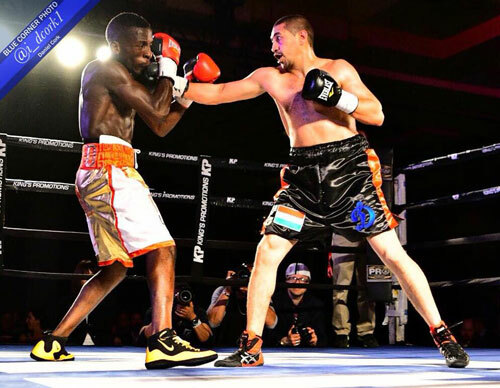 PHILADELPHIA (May 14, 2018) - This past Friday night (5/11), junior welterweight Mykal Fox remained perfect by winning a eight-round unanimous decision over Anthony Mercado. The bout headlined an eight-fight card at SugarHouse Casino, and was promoted by King's Promotions. Fox of Forestville, Maryland controlled the action by using his long reach that set up combination punching. The 22 year-old was solid throughout, and cruised home to the victory by scores of 79-73 twice and 78-74. Fox is now 17-0, Mercado of Camuy, Puerto Rico is 11-4. 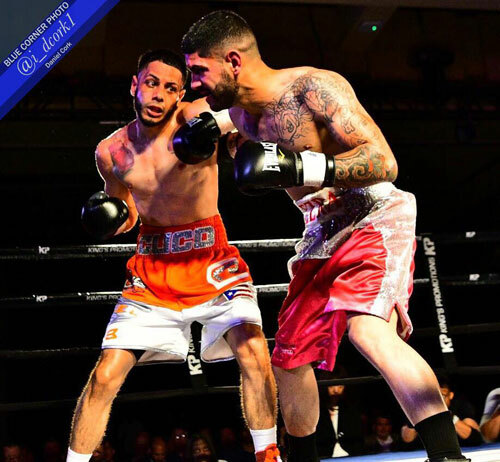 "The Fighting Ring Announcer" Alex Barbosa came back after a nearly two-year layoff to win a four-round unanimous decision over Sergio Aguilar in a super bantamweight bout. Barbosa of Philadelphia won by scores of 40-36 and 39-37 twice to raise his mark to 6-3-1. Aguilar of Homestead, Florida is 2-8. Romuel Cruz bloodied the nose of Bryann Perez on his way to a four-round unanimous decision in a super bantamweight bout. 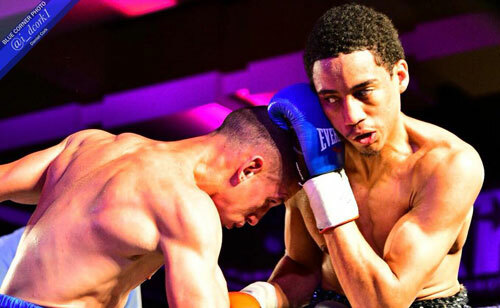 Cruz of Philadelphia won by scores of 40-36 twice and 39-37 to stay undefeated at 2-0. Perez of Carolina, Puerto Rico falls to 2-10-1. New King's Promotions signee, Anvar Yusunov shook of a flash knockdown to win a four-round unanimous decision over Deo Kizito in a super featherweight bout. In round three, Kizito landed a straight left that made Yusunov's glove hit the canvas. It was Yusunov's power shots that bloodied the nose of Kizito, and was the difference in the fight. Yusunov, who is a three-time Olympian from Tajikistan won by scores of 40-36, 39-37 and 38-37 to improve to 2-0. Kizito of Dubai, United Arab Emirates is 3-2. 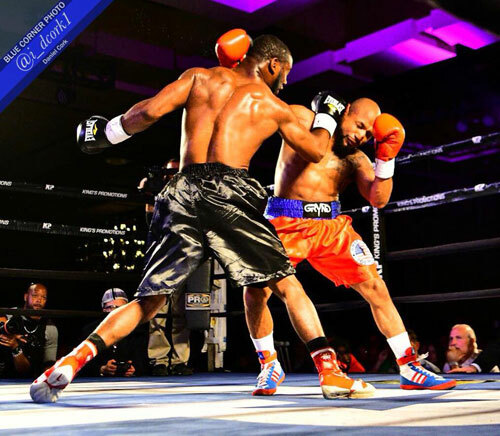 Jerrod Miner and Desmond Moore battled to a four-round split draw in a bantamweight contest. Each fighter won a scorecard 39-37 and a third card was even at 38-38. Miner of Philadelphia is 1-1-2. Moore of Bethlehem, PA is 1-0-1. 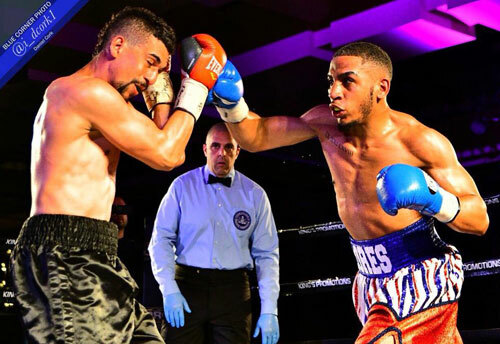 In the fight of the night, Joshafat Ortiz got off the deck in round one, to come back to stop Jordan Peters in round two of their scheduled four-round super featherweight bout. Peters dropped Ortiz in the first frame with a vicious right hand. Ortiz was not only able to shake that off, but come back and land a booming right hand that dropped Peters in next frame. Peters got up, but ate a huge combination, and the fight was stopped at 2:13. 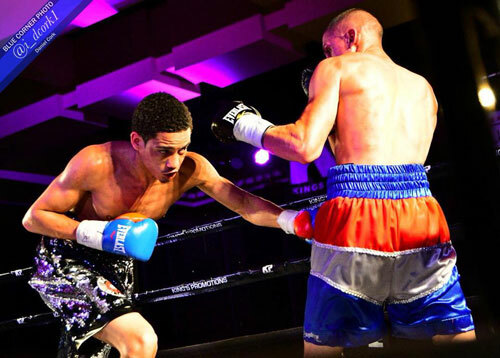 Ortiz of Reading, PA is 4-0 with 2 knockouts. Peters of Washington, DC is 2-2-1. 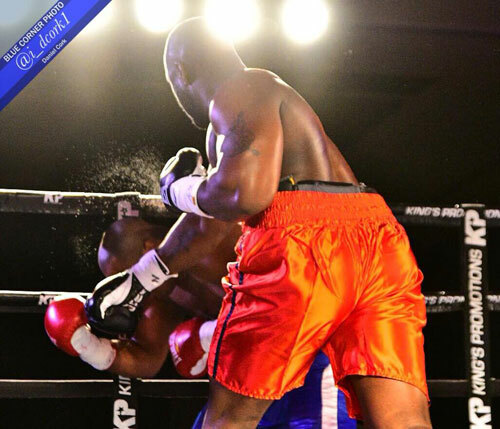 Michael Coffie remained undefeated by stopping Lamar Lewis in the first round of their scheduled four round heavyweight bout. Coffie landed a big combination to the top of the head that sent Lewis down, and the fight was stopped 75 seconds into the fight. Coffie of Brooklyn is 3-0 with 2 knockouts. Lewis of Conway, Arkansas is 0-2. 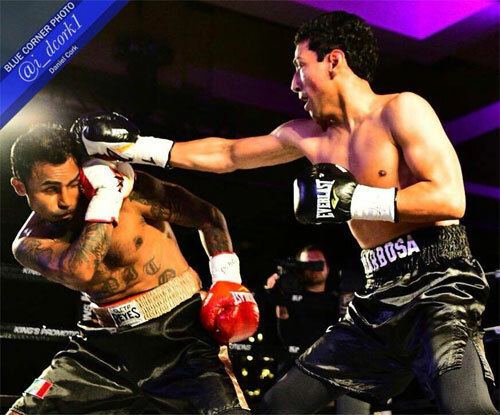 Joel Flores of Christopher Burgos fought to a spirited four-round majority draw in a junior lightweight bout. 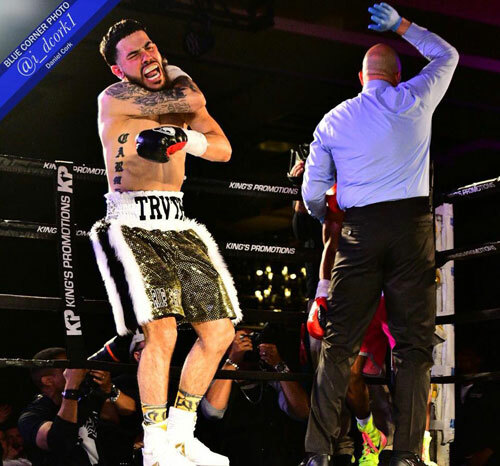 Flores of Passaic, New Jersey won a card 39-37, but that was overruled by two 38-38 cards. Flores is 0-0-2. Burgos of Philadelphia is 0-2-1.